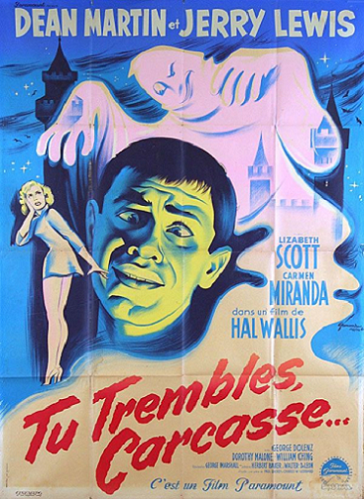 Scared Stiff ( 1953 ) U.S. one sheet and a French grande film poster. 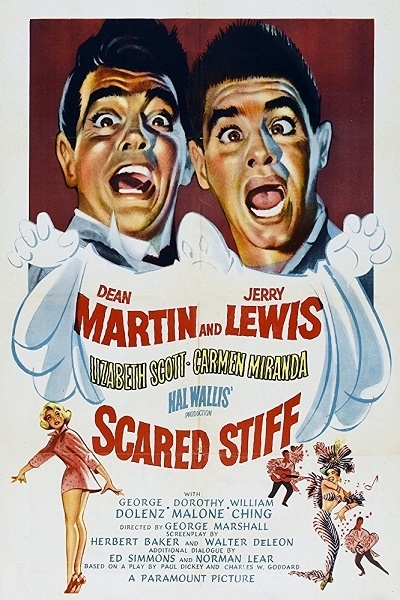 With the French poster depicting only Jerry Lewis's image, it got me thinking how unusual this is, and I cannot remember ever seeing a film poster of any other Martin and Lewis film where Dean Martin's image doesn't appear. 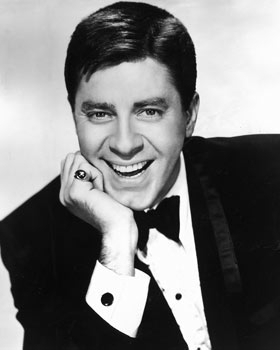 Sad news just received is that Jerry Lewis has passed away at age 91. 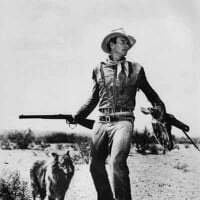 Another legend no longer with us but his films remain to remind us of what a comedy genius he was. Lewis-a-thon this weekend...just a few of my favourites. 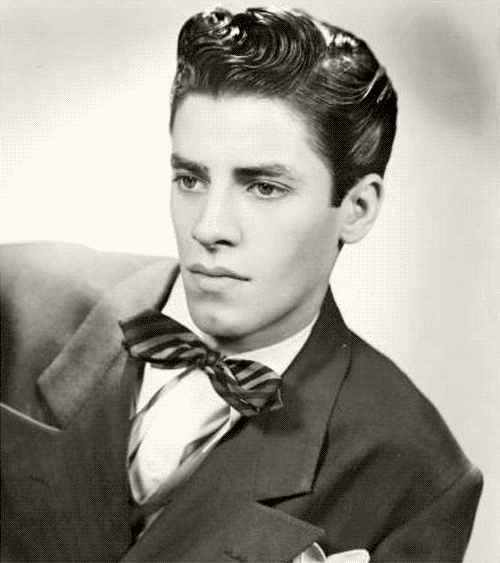 Found this image only today, which I had never seen before. Just in case anyone else also hasn't seen it. 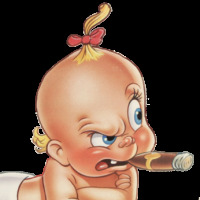 The man made me laugh 'til I cried when I was a kid. Definitely a movie marathon this weekend! A thought regarding the Scared Stiff French grande poster.Seeing Jerry has been revered as a comic genius in France, and more that anywhere else, it only seems appropriate that a poster just featuring his image, leaving out Dean's image, happened in France. 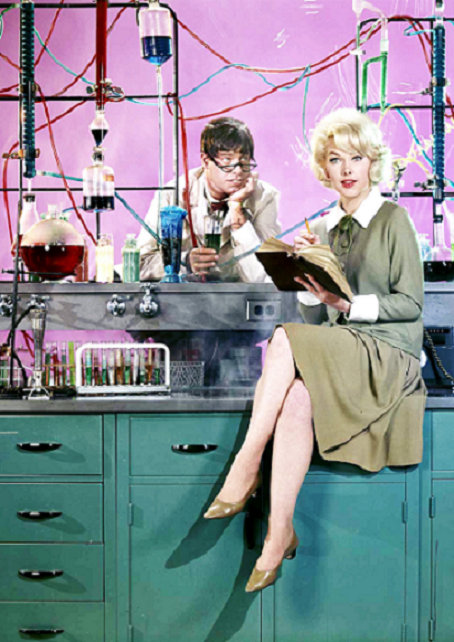 The Nutty Professor has to be one of my favourite Jerry Lewis films and the lovely Stella Stevens was a bonus.